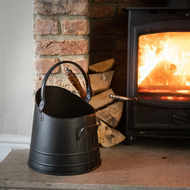 If you love buying antique items for your home, then the Black Coal Bucket with Shovel is a must-have. 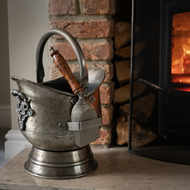 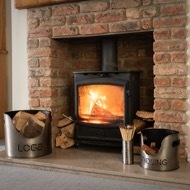 Made out of steel, the coal bucket is shaped to easily tip coal into the fireplace. 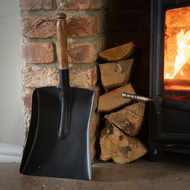 The wooden handled shovel sits in a bracket attached to the bucket. 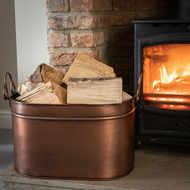 If you own a solid fuel open fire, then this bucket and shovel will prove to be extremely useful.